John Johnston has 30 years of experience as a trainer in the fitness and boxing world. He completed a degree in Professional Fitness and Nutrition at PCD Institute in Atlanta, Georgia, and owned and operated the Life Defense System, with a focus on martial arts and self-defense. 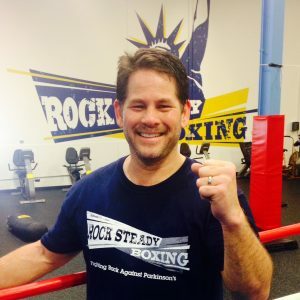 John has a special interest in Rock Steady Boxing because his brother was diagnosed with Parkinson’s disease.